Sarah Awelping is currently a 19-year-old sixth grader at the Salam Girls’ School in Aweil, South Sudan. When she was 15 years old, she became close with a boy, Garang, from her neighboring village and over time, the two fell in love. They hoped to one day marry, but first, they wanted to focus on school since the war put them so behind in their studies. Around the same time Sarah and Garang started their relationship, a 60-year-old man, who was already living with four wives, offered Sarah’s parents a large dowry of 100 cows for the girl. Sarah was only 15 years old at the time. She knew that if she was forced to marry the old man her life would consist of a loveless marriage in which her main job would be to provide the man with children until he grew tired of her and took yet another wife. Sarah became so terrified that she ran away with Garang. In South Sudan, a dowry is one of the few times people can receive a large sum of money, so for the Awelping family, Sarah’s potential dowry was a huge deal. In rural South Sudan, 100 cows signify a great deal of money and for a family living below the poverty line, like the Awelpings, this size of dowry was life changing despite the impact it would have on their daughter’s future. Sarah knew it was her duty, but she also knew she did not love the man. Sarah was aware with how much girls suffer, as they are rendered powerless once they are sold as property to the highest bidder. Unlike marriages of love and trust, these arranged marriages leave wives in unfair, emotionless, and abusive relationships. Sarah says she couldn’t even imagine having to get permission from her husband every time she wanted to leave the house to run errands, since her husband would fear that she’d run away from the unhappy marriage. Sarah felt so helpless and devastated with the arrangement her parents were making and even though the idea of running away was daunting, she knew it was her only option if she ever wanted to be happy. She understood that her parents could choose to never accept her back into the family, but she just wasn’t able to bear the thought of spending the rest of her life married to a man 45 years older than her who she did not even know, let alone love. 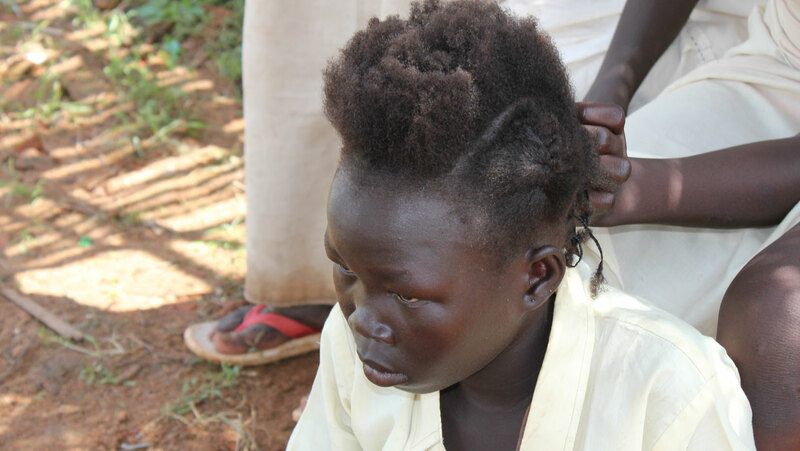 Sarah’s aunt strongly supported her decision and once other community members learned of the situation, they also defended her right to stay with Garang. While Sarah’s parents were initially upset that they lost the dowry, they eventually grew to accept and support her relationship with Garang. Now, four years later, Sarah is happily married to Garang. She is still in school and dreams of one day becoming a doctor so that she can spend her time helping others. Looking back, Sarah is so thankful she made the decision to run away, because now she is able to choose how she’d like to live her life.